Baby it's cold outside! FINALLY! This week's Make it Monday Challenge from Papertrey Ink is the reverse applique technique. Beautiful card, Becky. 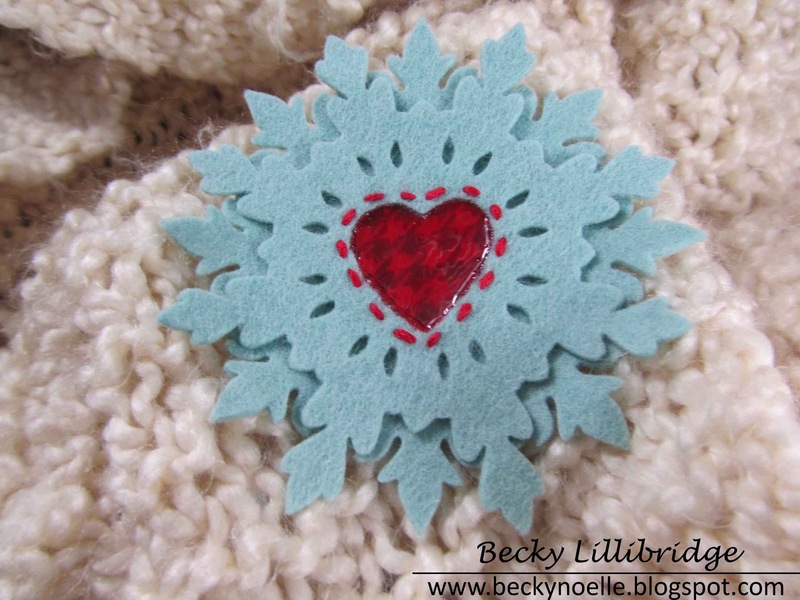 Love the felt snowflake with the 'heart' center. This is such a pretty color combo for winter holiday cards too.